What a better way to show your green side. 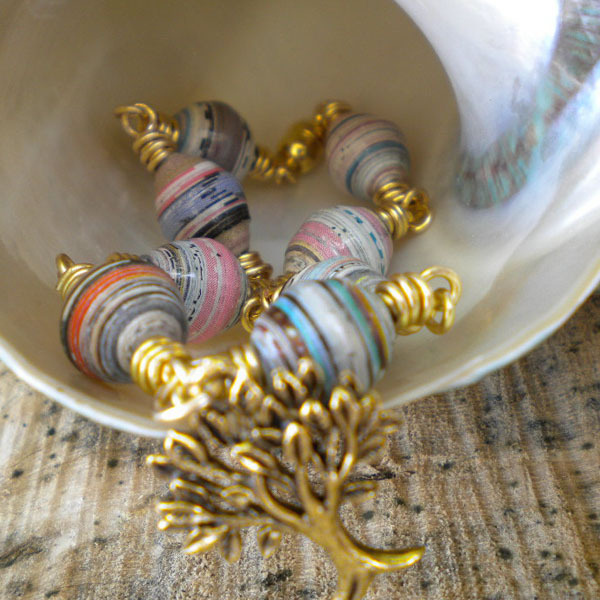 The Earth Awareness Paper Bead Bracelet is not just eco friendly but fashionable! It is inexpensive and would be a great present to anyone age 9-99. 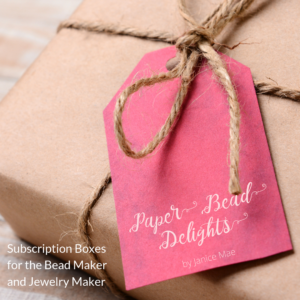 How to: Double-wire wrapped each paper bead with the 22 gauge silver or gold wire, be sure to connect each bead before wire wrapping the ends. Wire wrapped the magnectic clasp to each end or use jump ring, although it is more strong if the clasp is wire wrapped. 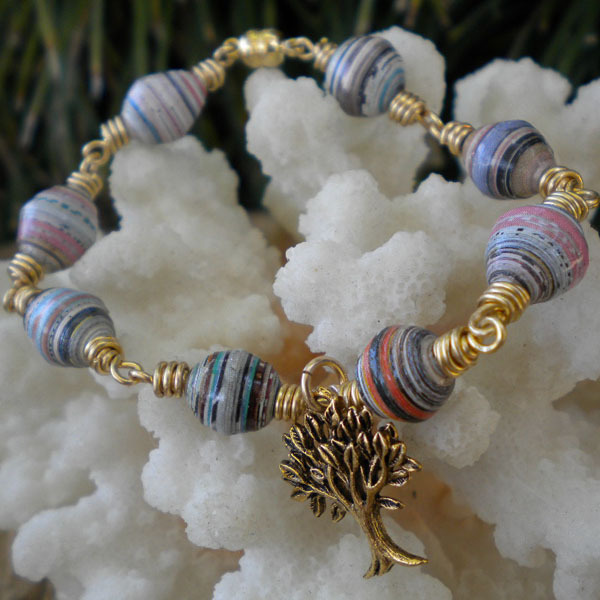 Connect the tree charm or any charm of your choice to the middle of the bracelet. Last but not least, be sure to measure the length of the bracelet before attaching the clasp and do not forget to take into consideration that the clasp will add at least 1/4-1/2 of an inch to the length of your bracelet. 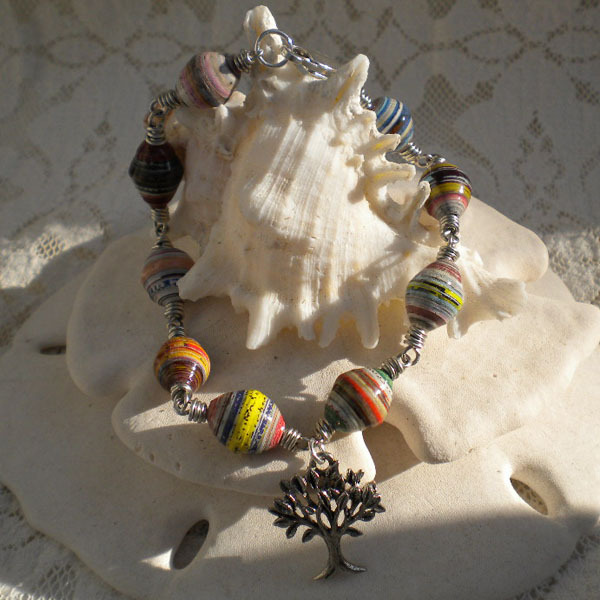 The kit that includes DVD instructions on how to wire wrapped can also be purchased at www.aubreysbeads.com or click the icon to your left. The magnetic closure makes it easy to take the bracelet off and put it on – to make the bracelet last for years you need to take it off when washing hands or doing dishes.